Quick tips on how you can conserve iPad battery life for optimized performance so you can enjoy using it on a maximum period without having to charge it. Software updates are always welcome because it enhances the interface, features and capabilities of any device. Just recently, a software update on the operating system for various Apple devices was made available. iOs 7 received mixed reviews from iPhone and iPad users. Some were quite happy with the new features brought about by the update while others were disappointed, citing that it has the looked and felt like there are using an Android device. But the most notable disadvantage of iOs 7 is that it’s taking a toll on the capacity of the iPhone and iPad battery life. Thus, we have explored several ways on what you can do to minimize the power consumption of your iDevices. Turn of Wi-Fi when not in use. 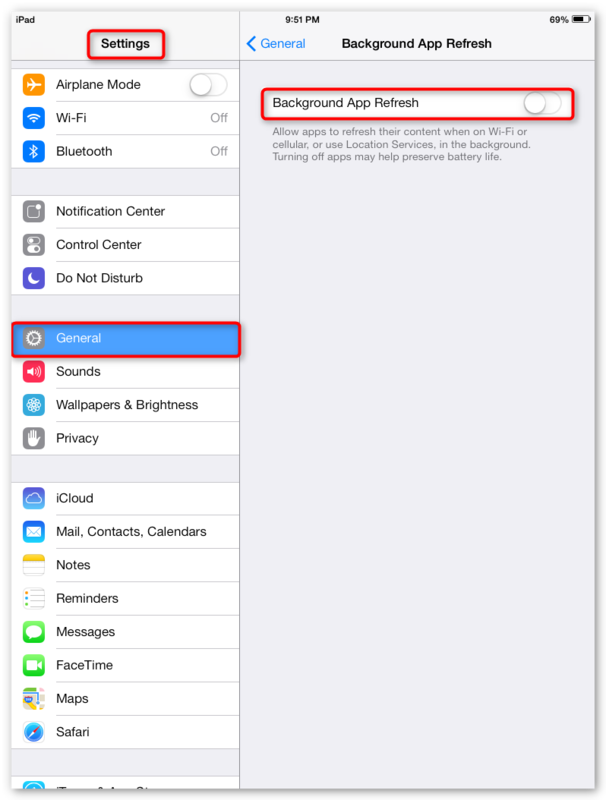 This will prevent your iPad from searching Wi-Fi connection which eats up a lot of your iPad battery life. Turn of Bluetooth. Same with Wi-Fi, turning off the Bluetooth will save iPad battery life. Lower the brightness of the iPad screen. It is a known fact that when you set the background light to maximum, it consumes a lot of energy from the battery. Turn off Location Services. This app tracks your current location and turning it off does not only save on iPad battery life but can also be beneficial for your security. Turn off “Air Drop”. Air Dop is one of the new features that came with iOS 7, enabling it, turns on the Wi-Fi and Bluetooth automatically. Do not use the dynamic wallpaper. While the live wallpaper looks awesome, it also uses a lot of battery. Give proper care for the battery. Do not overcharge your battery and it is recommended that you completely drain the power of your iPad once in a while before charging it to full capacity. What to do when iPad battery life has deteriorated? It is inevitable that the battery of your iPad, or any other battery powered gadget for that matter, will depreciate in terms of capacity and performance over a considerable amount of time which means you will need to get fresh new batteries or a possible unit replacement depending on the manufacturer of your device. As for Apple products, you may drop by the nearest MAC/Apple Retail store or visit their website for further support details. If your iPad will require service, it is highly recommended that you back-up your iPad files before you hand it over because during the service process all the data on your iPad will be erased. Apple suggests that you back-up your data via iCloud or iTunes. 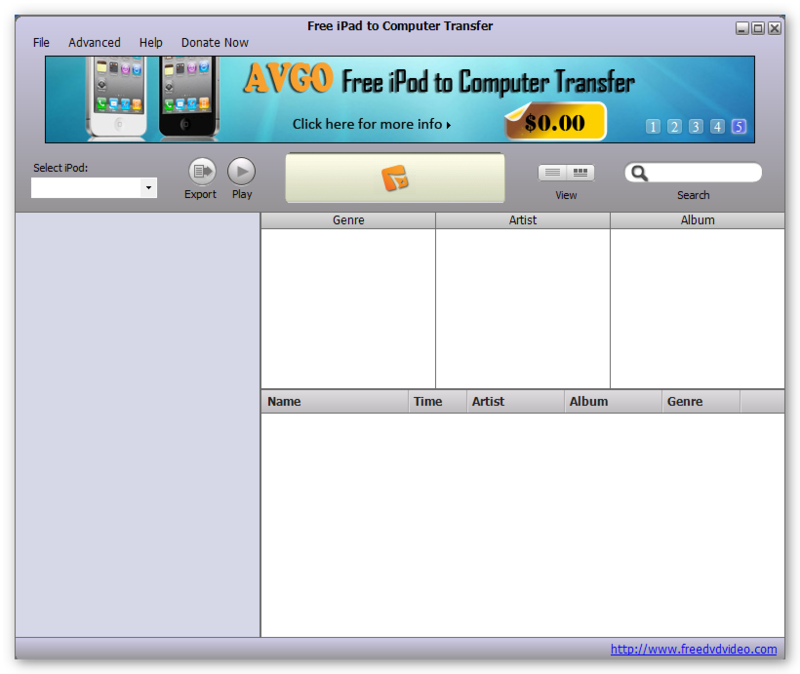 Alternatively, you may download and use AVGO’s Free iPad to Computer Transfer program. This easy to use iPad utility free software can copy date such as pictures, music, videos and more from your iPad to your computer. It also supports other Apple/iDevices like iPod, iPod touch, iPhone and iPad mini. Download AVGO Free iPad to Computer Transfer now!